Edwin Kenneth Musser, age 80, passed away peacefully on July 21, 2018, following a courageous 8 month battle with glioblastoma, stage 4 brain cancer. Ed passed away at the Fairview Manor, Erie, PA, with his wife, Joan, at his side. Ed was born in Erie, PA on October 30, 1937. He graduated from Lawrence Park High School in 1955. 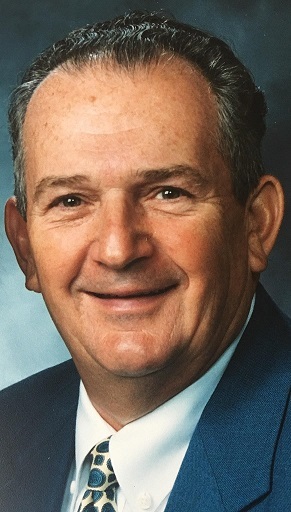 He worked at Hammermill and International Paper Co. for over 40 years until his retirement. Ed joined the United States Army and served for 6 years from 1960 - 1966. He was a proud veteran. Ed was a true sports enthusiast. He loved bowling and participating in many bowling leagues in the Erie area. He was active in golf, tennis, swimming, baseball, slow-pitch and fast-pitch. He enjoyed going to the YMCA and Pennbriar. He thoroughly enjoyed watching his grandchildren excel in sports and all of their activities. Ed enjoyed spending time outdoors. He kept his yard well-manicured and loved his garden. He was well known as the ‘tomato’ man and shared his abundance with family and friends. He was the number one husband, father, and grandfather. He was a loyal, passionate man with a big heart and generous to a fault. Humble in his own way, he was a leader by voice and example. He always put his family first. Ed was a lifetime member of the East Erie Turners, Polish Sharpshooters, and Slovak National Clubs. He also was a member of the American Legion Post #742. Ed was preceded in death by his daughter, Sandra Joan Musser (9 months); his parents, Eldon and Florence (McAllister) Musser; his parents-in-law, Stanley and Helen (Budzinski) Wasielewski; and his sister, Norma Musser Hoffer (Arnold). Ed is survived by his loving wife of 57 years, Joan Wasielewski Musser; his children, Kathleen A. Connell (T. Joseph Connell) of Erie, Brian S. Musser of Penfield, PA, and Karen J. Musser of Dallas, TX; his grandchildren, Thomas E. Connell, Michael J. Connell, Olivia G. Musser, and Valerie A. Connell. He is also survived by his brother, Raymond Musser (Rosemarie) of FL, and many nieces and nephews. The family would like to thank all of his caregivers and also thank all the family and friends for the love, generosity and prayers during this difficult time. Following Ed's wishes, there were no calling hours. A private Mass was held at the convenience of the family at Our Lady of Peace Roman Catholic Church. The family requests memorial contributions to the Juvenile Diabetes Foundation or the Multiple Sclerosis Foundation.